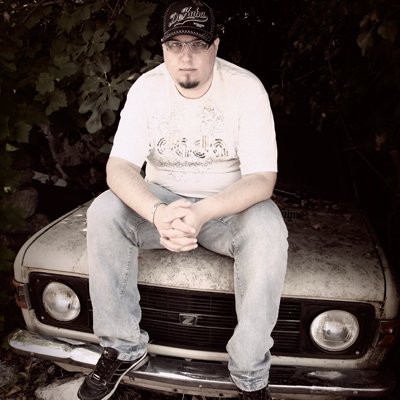 JK Soul is a producer / performer who produce hip-hop beats and trip hop music with electro sounds influences. His current musical spectrum range from trip hop, hip hop, turntabilism, funk, soul, jazz, brasil, minimal genre and chillout lounge music. He started his musical career as a radio technician at a local radio station in Izola (Slovenia) at the age of 12.At a very young age of he was also involved with Tomy or Zox Productions, producing a large number of house tracks, which were sold throughout Europe. The track “Music Makes Me Happy” was positioned on almost all European dance charts in (2003). 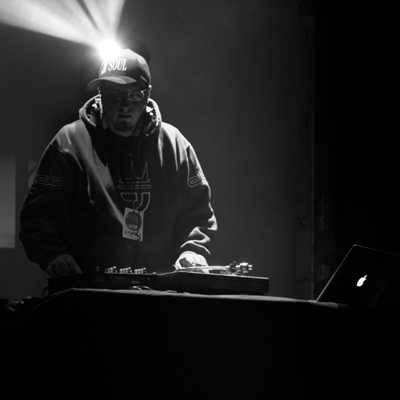 Later on he has discovered his passion for hip-hop and trip –hop under the influences of his long time friend Gramatik. He started discovering the magic world of beats, starches and raw hip-hop tunes and became known as one of the best scratch DJs in Slovenia with more than 10 years of experience and stared performing on concerts with the Slovenian hip-hop group 5.Element (under the artist name – DJ Flegmatik) and has preformed in all major Slovenian hip-hop festivals and events. His first album was released in 2009 on the Cold Busted (Denver, CO) label. “Dinner with the Beatz Vol.1″ was a highly fulfilling debut album. With fresh styles, skills and influences from the roots and culture of early Hip Hop and Soul, Vol. 1 is served with funky, jazzy and fresh beats, melodies and samples with tastes and styles that make it a delicious 18-track album. Same year he toured the US in Nov/Dec 2009 together with Gramatik , as an opening act for Pretty Lights. In May 2010 he has released his 2nd album from the series ” Dinner with the Beatz” with a great success. The album went straight into the TOP10 Chillout Chart @ Beatport.com. The single “The Music” topped the Beatport chart and remained there more than a month. After more than 6 months the track was still moving on the TOP 10 Chiilout chart and was a part of Beatport’s “TOP 10 Chillout songs of 2010″. The album entered also on the DCOC – Deutche officall Chill Out Charts taking the 2nd spot on the Album chart, and the track “The Music” #2 on the Singles Chart. After the UStour JK stopped further European touring and dedicated himself to the new productions. His 3rd album “SHADOWS”, released in August 2010 , involved street soul hiphop music, with wobble bass lines, synths and many other electronic sounds. Many important sources and web sites gave it a positive review. Stelar, Basement Freaks, Cayetano, Carmen Rizzo, Quasamodo, Ancient Astronauts, Valique, MopMop, Brixton Boogie, Jayl Funk, V.Georgiev, Smokey Bandits, UMBO and YouTube phenomena Take Some Crime) get hold of JK Soul’s work, and signed exclusive contract with him. In May 2011 JK Soul grounded his own label “FAT Sound”, and finally in June 2011 released on it “Dinner with FAT beatz”, his latest long-player. He immediately got a big attention and very good reviews from journalists and artist community as well as international radio play, and different collaboration offers and opportunities. Following the invitation to SFF (Sarajevo Film Festival) and mini Croatian – Bosnian tour, JK started preparing different set-up’s and concepts for his live appearances planned for 2012 both in Europe and North America. In October 26th he released his “UNIVERSAL LOVE EP”. The EP was a success and you can find it still on the top 10 Beatport.com Chill Out chart. Recently JK Soul produced a full lenght album for one of the best slovenian MC’s EMKEJ. Album called “Znajdi Se” and was released on 5th of March 2012. The 1st single “Znajdi Se” went straight on #2 on MTV Adria “domacica chart” just in 2 weeks. A “Znajdi se “tour started on 7th of March @ Kino Udarnik (Maribor, SLO). The show was sold out. In 2012 JK started Djing again after few years dedicating just in music production. He has played in 2012 on more than 40 shows in the balkany region. People just loved his DJ skils and playing poverfull glitchop, gehttofunk and dubstep sets. At the end of March the e-store leader for eletronic music Beatport.com has given to JK Soul the BMA (beatport music award) nomination for “best chill out artist of 2011″. Demo version grabbed immediate attention of Kabanjak (ESL Music, Switchstance recordings) in Germany and Cayetano (KLIK, Etage Noir) in Greece. JK found a great Canadian painter, Robert Ives, who contributed his canvas “Catfish” for the cover of this release. 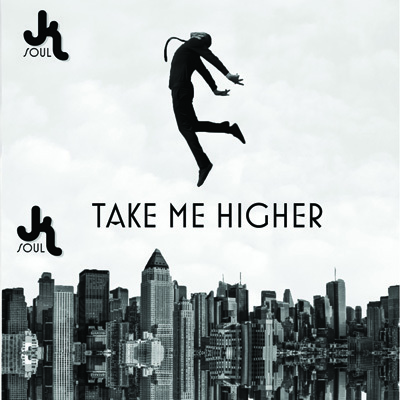 JK Soul has just finished producing his new album »Take Me Higher« that will be released on Greek record label »Pale sound Records« a division of Klik Records. Official release date is set to 20th of May 2013. 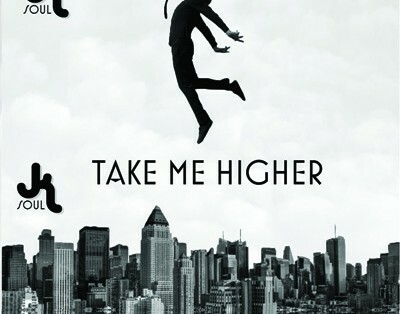 The album is pure mixture of music geners from hiphop/triphop, to dubstep, house and dnb. JK has expanded his musical grounds, but in every track you are still able to hear JK Soul’s trademark sound touch. With the release is planed the promotional EU tour that will start in Greece.